Sing in your bottle of gin. You think you’re a hero. The poison from a blessing. Now, you see her eyes in every maiden’s lenses. And you’re wishing cancer was in your genes. It will deafen you, and you won’t hear yourself sing vain. But your pen, is full with your sin. To the nearest train station. In NYC, every train points Home. And there it is! 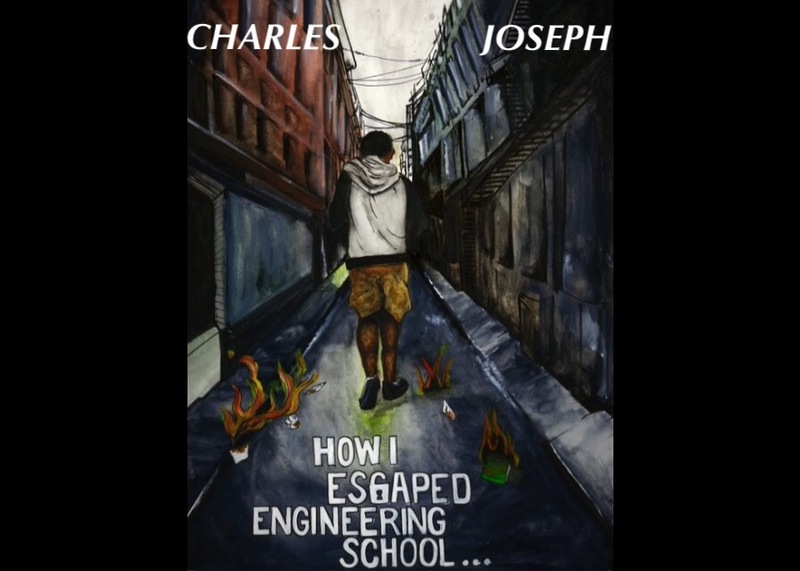 How I Escaped Engineering School is out now, waiting for you to give it a read. 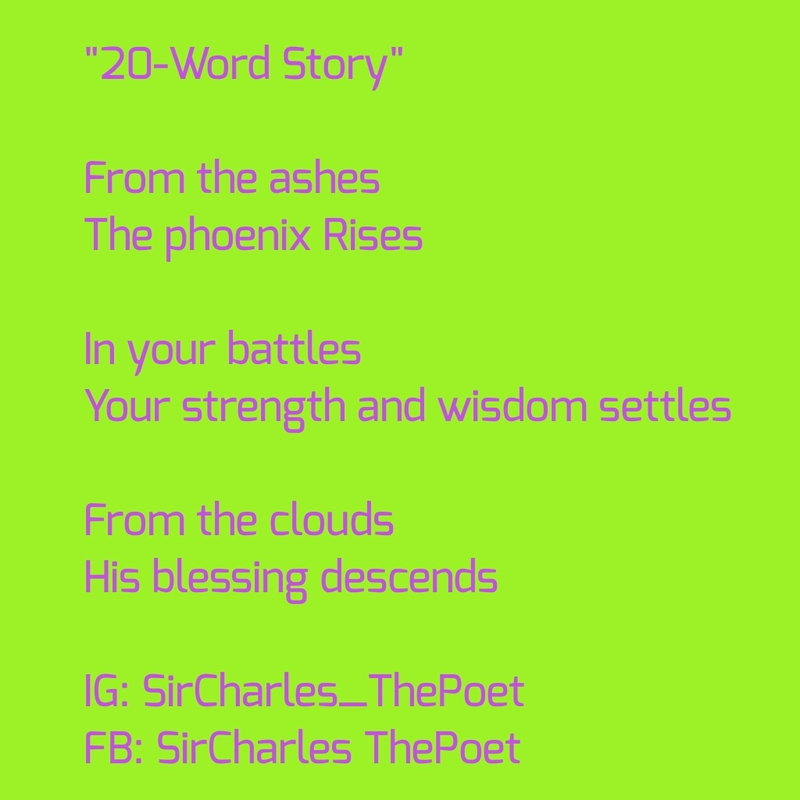 Go to Sellfy.com/Sircharlesthepoet to get yourself a copy!! Limiting interaction to the screen and their mental. Fine, it is not okay. 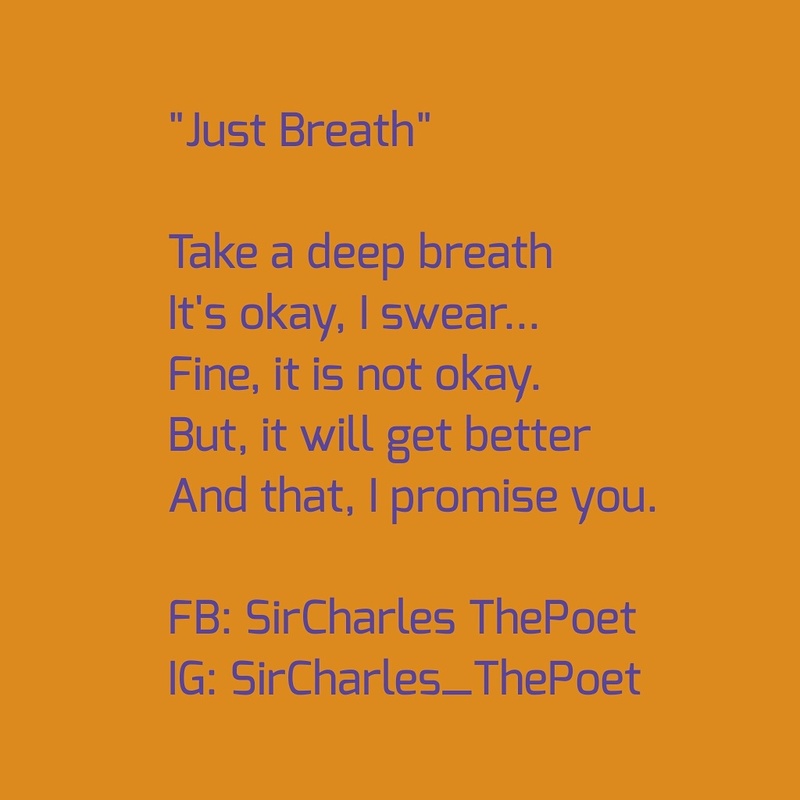 And that, I promise you. 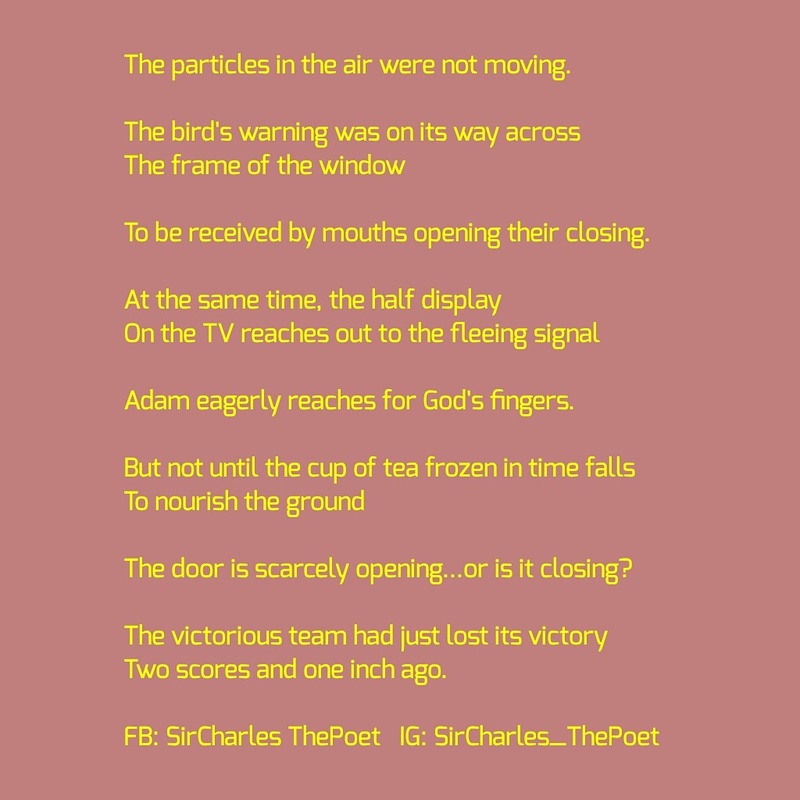 The particles in the air were not moving. To be received by mouths opening their closing. Adam eagerly reaches for God’s fingers. The door is scarcely opening…or is it closing? Two scores and one inch ago. What if it is not real? What if it isn’t real, and we can make it all go away?